We need your old laptops. We plan to give away 50 laptops with open source software and programs installed for folk who need a computer and can’t buy one. What we want you to do is bring them to Kinning Park or phone us and we will pick them up. 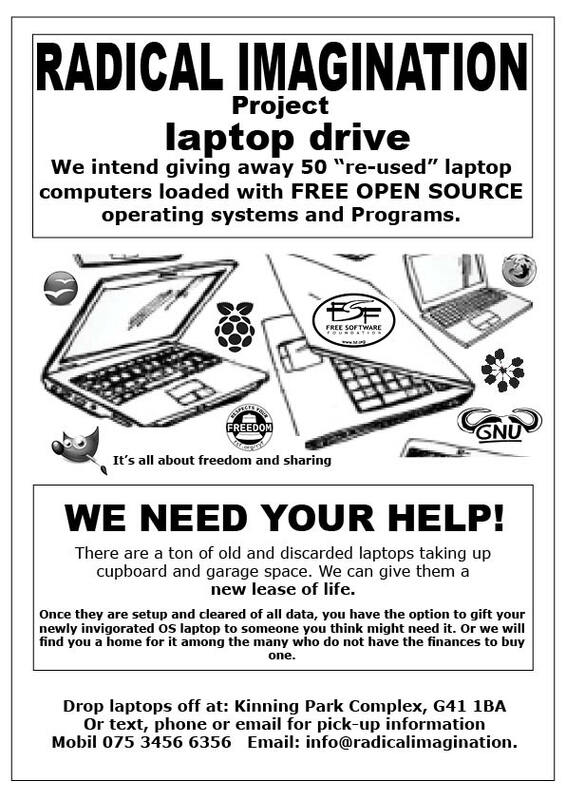 You can, once they are setup and cleared of all data, have the option to gift your newly invigorated Open Source laptop to someone you think might need it. Or we will find you a home for it among the many projects and people who do not have the finances to buy one.